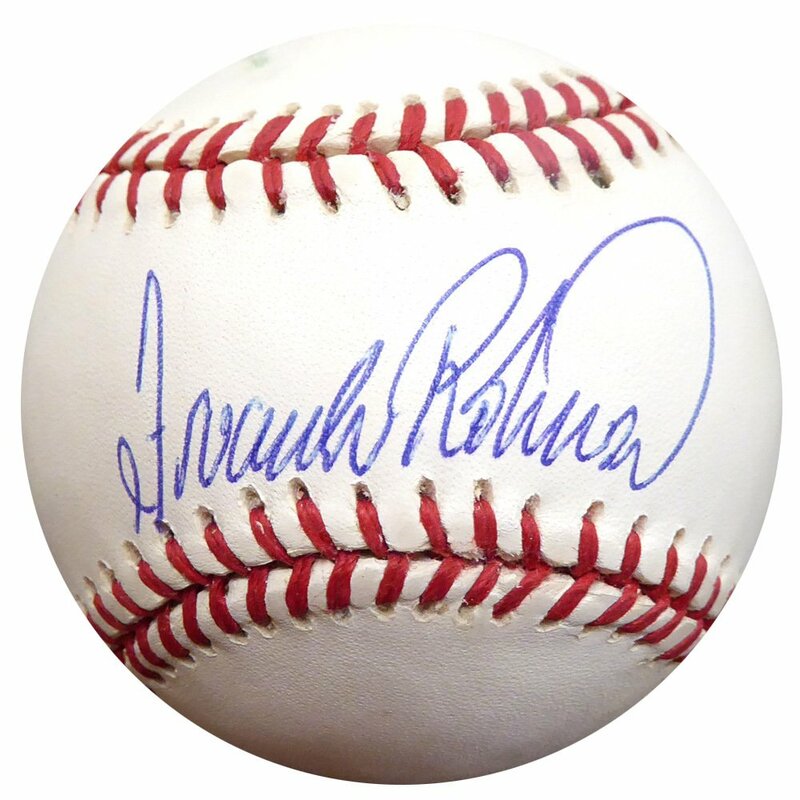 You are viewing an Official American League Baseball that has been hand-signed by Frank Robinson. It has been certified authentic by Beckett and comes with their sticker and matching Certificate of Authenticity. Guaranteed 100% Authentic.